9 Madge superbly located at Jalan Madge, the heart of Kuala Lumpur City Center. 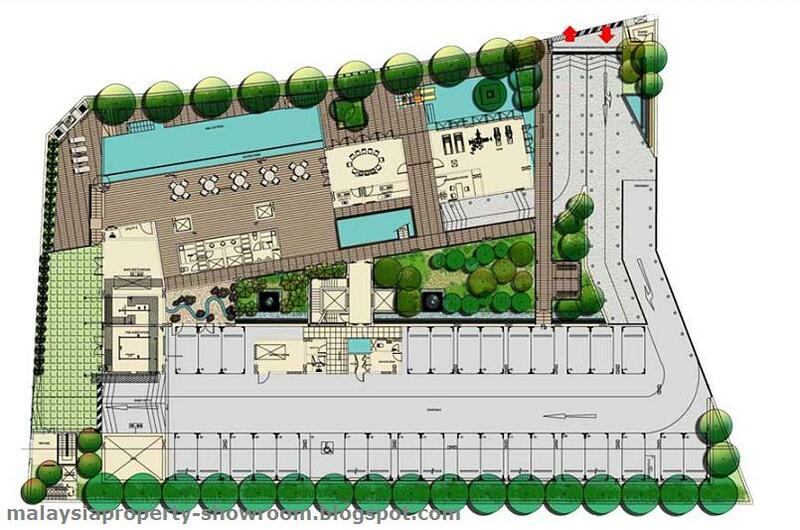 The low-density freehold development of only 23 units will have two- to five-bedroom units of 1,800 sq.ft. to 8,200 sq.ft. It will feature exclusive penthouses with rooftop gardens and tropical themed gardens in a gated and guarded community. It will also have state-of-the-art, four-tier security system and is 1.5km from KLCC and the Petronas Twin Towers. It is a mere minutes drive to the city's finest in dining, shopping, entertainment and culture. The design originated from an intention to create a unique and curiously captivating spatial experience to the residents and visitors. The building essentially consists of 2 wings divided and interconnected by a central courtyard garden and bridging lobby. The front wing mainly of 4 and 5-bedroom units faces and overlooks the 25meter lap pool and children's pool, while the rear wing mainly 2 and 3-bedroom units has a view of the landscape garden with an emphasis on the terrace and private enclosed space for a quieter experience. Built-up Area : 1,800 - 8,200 sq.ft.